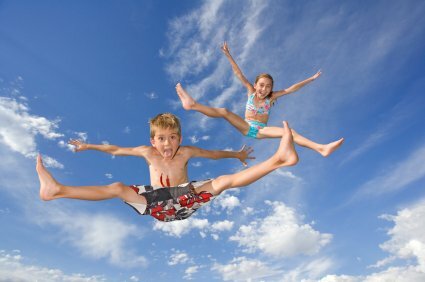 JumpSport „Elite“ series of trampolines is 5* trampoline which will give you everything you ever wanted from trampoline. 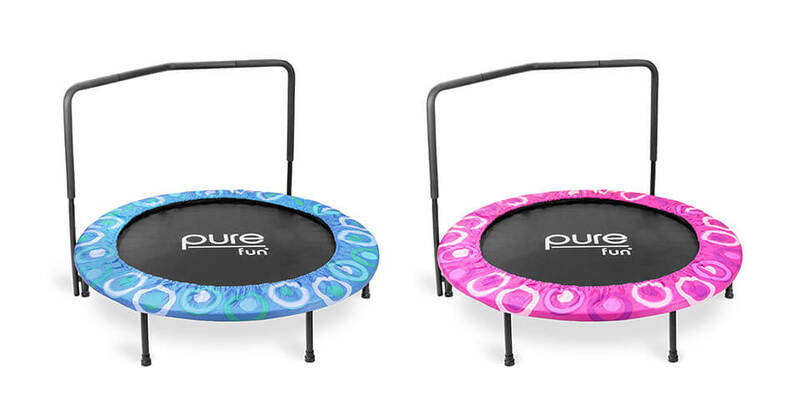 Full-size fun, top quality, smooth bounce with superior performance and maximum safety for minimum chance of injuries. 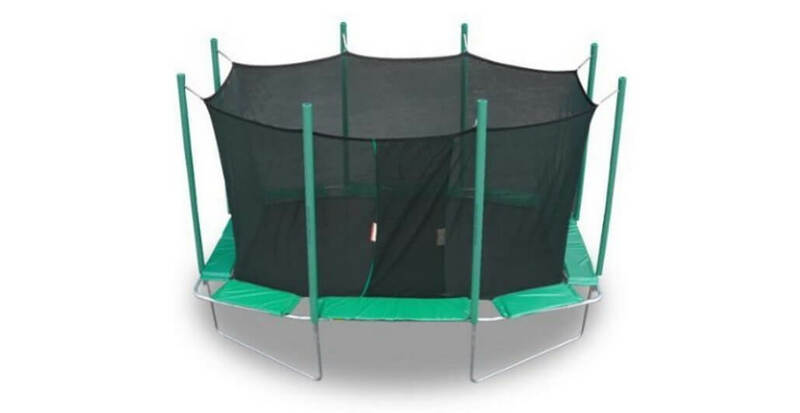 JumpSport Elite trampolines are available in multiple sizes (10ft, 12ft and 14ft) and as they are almost the same, with just a few differences, this review will cover all of them. Need JumpSport “Elite” Manual? : Download here! Very durable pre-galvanized 14 gauge steel frame, 1.75“ top rail made of steel and dark blue color finish. 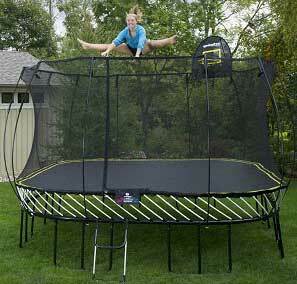 Height from ground: 35“ – to increase safety jumping mat was lifted higher than in regular trampoline. 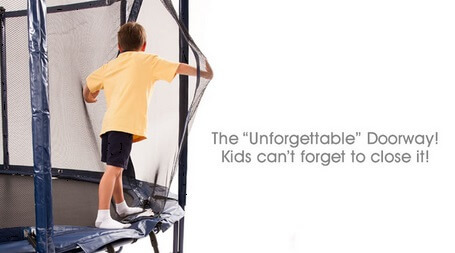 Purchase of trampoline ladder would be good choice if you have smaller children. 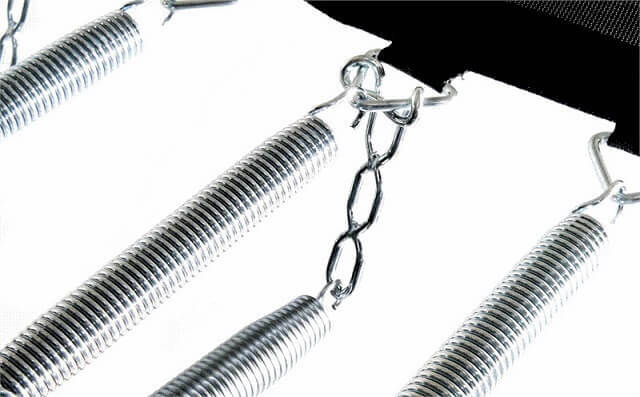 Springs are made from top grade steel and are 8.5“ long. 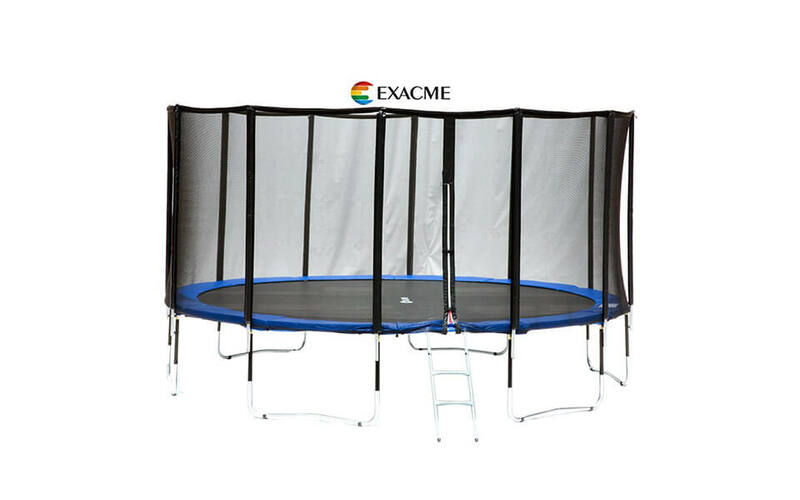 If you have any intention of using this trampoline to perform tricks then think about PowerBounce (dual spring) technology. Meets and exceeds “ASTM” safety standards, all thanks to integrated safety enclosure and “Unforgettable” closing system. Poles are also padded with PVC coating. Trampoline jumping mat has 10 rows of stitching, premium UV protection and fantastic capabilities. Soft and responsive mat which listens to your body making it great choice for semi-pro all wannabe gymnasts. 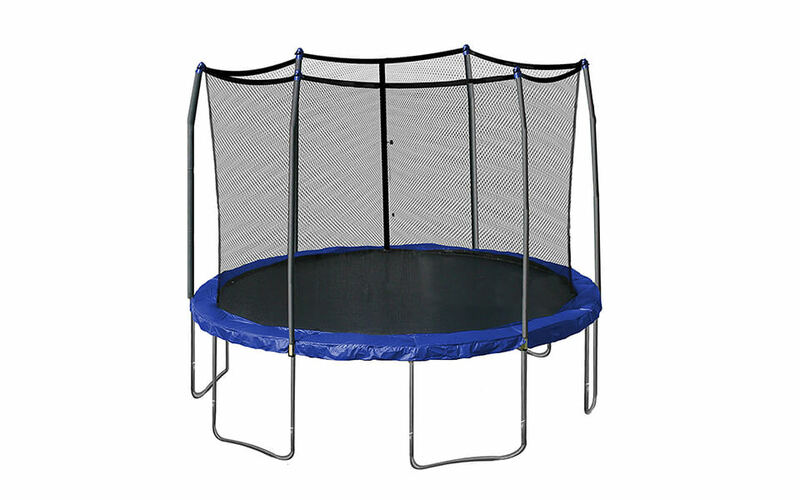 Mat has usable jumping area of approximately 113 square feet, which is closely to 40% more than on 12ft JumpSport trampoline. 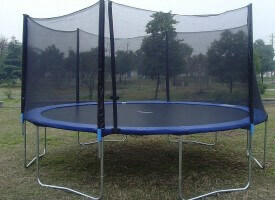 Have in mind that these are recommended maximum wights of jumpers, as this trampoline is capable of much more. 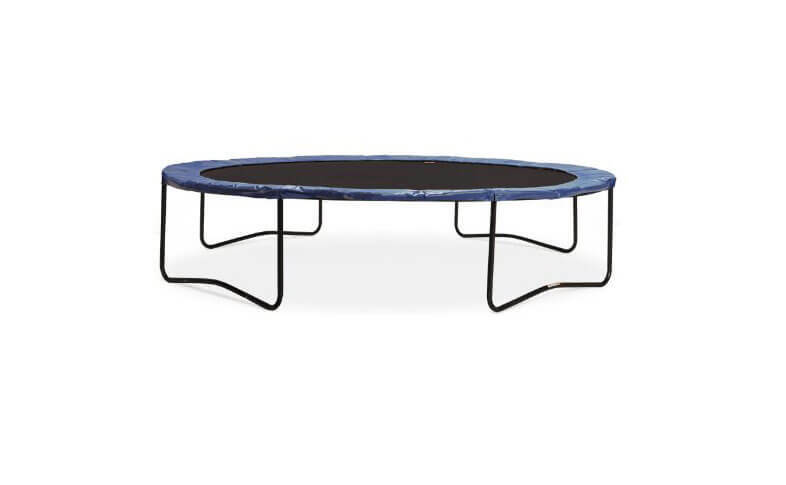 In fact, real world tests had shown that this trampoline can handlecombined weight of over 800 lbs (360kg). JumpSport Elite padding comes in matching dark blue color. Quality of padding is one of the better we saw on trampolines. Padding is made from Expanded Polyethylene and it is coated with 21ounce PVC which is water & UV resistant. Padding is filled with 1“ thick gym-grade foam and it is almost 14“ wide. Thick pad with PVC outer-coating with a full-width, inch-thick, gym-quality EPE foam core. Always have in mind that none of these trampolines is 100% safe, there are just some safer than others. “Easy-Up” enclosure net with proprietary „Unforgetable“ enclosure entrance provides you with additional layer of security and peace of mind. 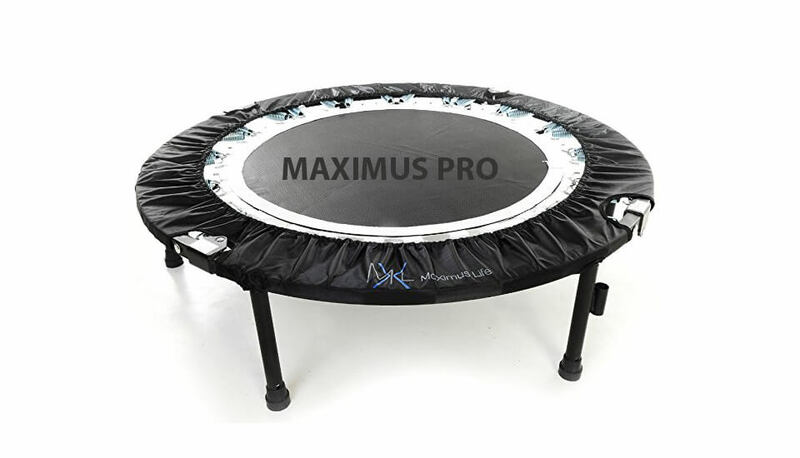 Product Warranty: If you have any kind of problems with JumpSport Elite Trampoline, like missing parts or parts with visible damage, or if you’re simply not satisfied with overall quality of this trampoline, just send it back to seller in its original packaging within 30 days of its delivery! Simple as that. Holiday Returns Policy is that orders placed between November 1 and December 31 may be returned until January 31. Keep that in mind. Happy customers and super high ratings. 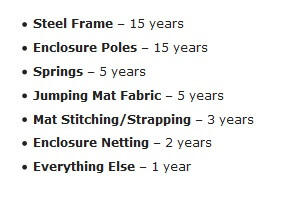 5* Quality – Only the best materials used in construction of this trampoline. Assembly is time consuming and very difficult to do it alone. Have someone to help you with installment. Whole assembly will require 3+ hrs. 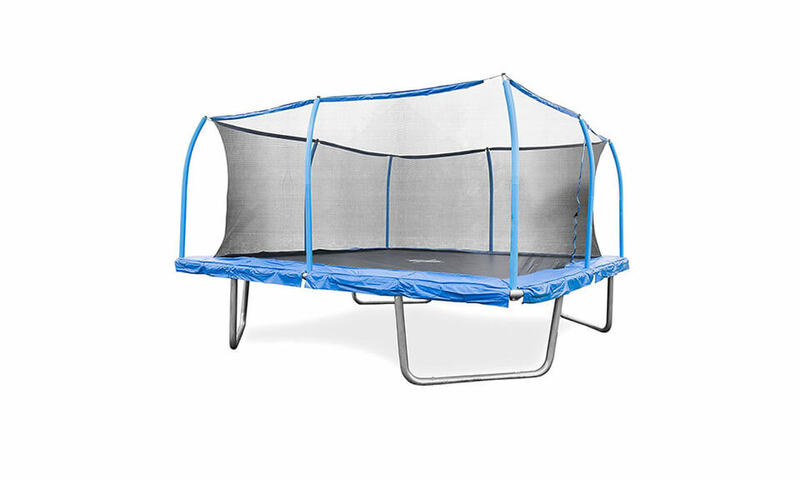 A bit expensive but as main competitors of this trampoline are ACON Air 4.3, Vuly Thunder and Springfree Medium Smart trampoline, price is relatively fair, at least when you look at the quality of this trampoline. If you have money for it, buy it. You will not be sorry. 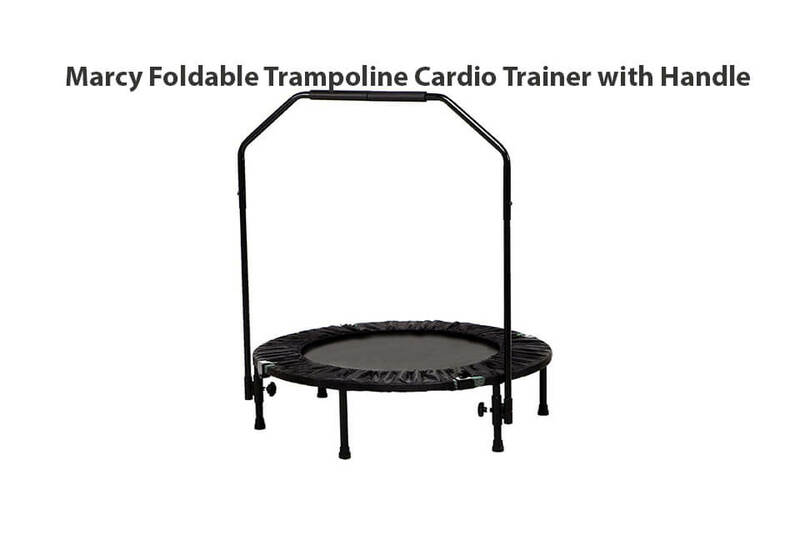 As this trampoline is very high shame that trampoline ladder is not included in the set. “PowerBounce” is technology that improves shock – absorption and bounce performance. The heart of the “PowerBounce system” is JumpSport patented TripleStage-DualSpring™ assembly. Each “PowerBounce” trampoline assembly consists of two cross-link springs mounted on our “PowerArm” fitting. The upper, Primary Spring locks the PowerArm™ into the V-ring, while the lower, Booster-Spring™ attaches to one of the PowerArm’s three stages–the top, middle, or bottom setting. 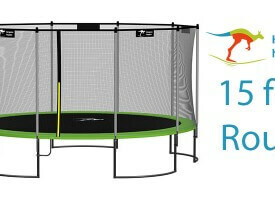 By changing those settings trampoline can be tuned for different age, weight or skill level. Sweet! 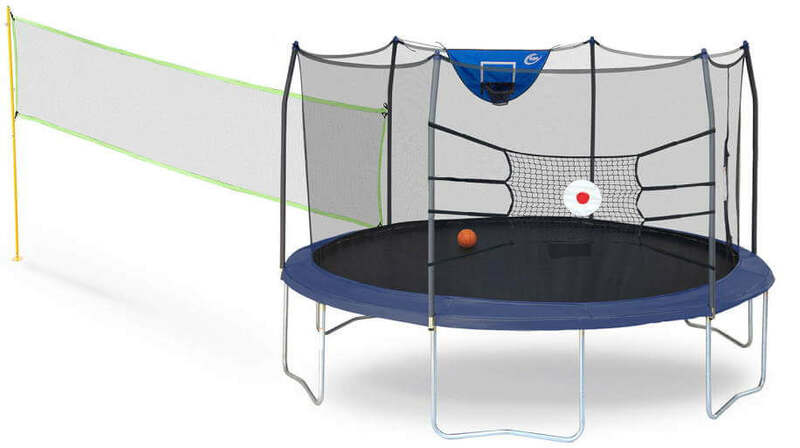 Basketball board: Learn to dunk with this special trampoline basketball board! Trampoline ladder: Good if you have smaller children who will use this trampoline. JumpSport Anchor Kit: Living in the area where bad weather (heavy winds, tornadoes) is possible to occur? Protect your trampoline with special Anchor Kits. Still not interested? 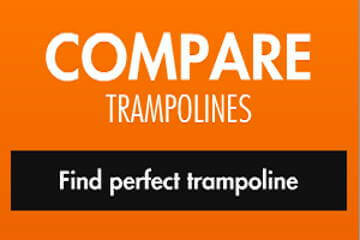 Check other reviews of best trampolines!